Senior management has significant fiduciary and public company executive experience, including having acquired and developed over $2 billion of commercial property over the last 20 years. Mark Whiting and Mark Pearson founded the firm in 1999. Mr. Whiting served as co-founder, President, and Director of TriNet Corporate Realty Trust, Inc. (NYSE: TRI) at TriNet's formation in May 1993, concurrent with the company's IPO. He became Chief Executive Officer in May 1996. Mr. Whiting successfully managed TriNet's growth from its IPO to a $2 billion enterprise. He joined TriNet's predecessor, a company of The Shidler Group, in 1987 where he directed its acquisition activities and managed the operation of over 250 properties in 40 states and in Canada. Prior to that, Mr. Whiting was Manager of Resort Development for Wailea Development Company, Inc. in Hawaii. 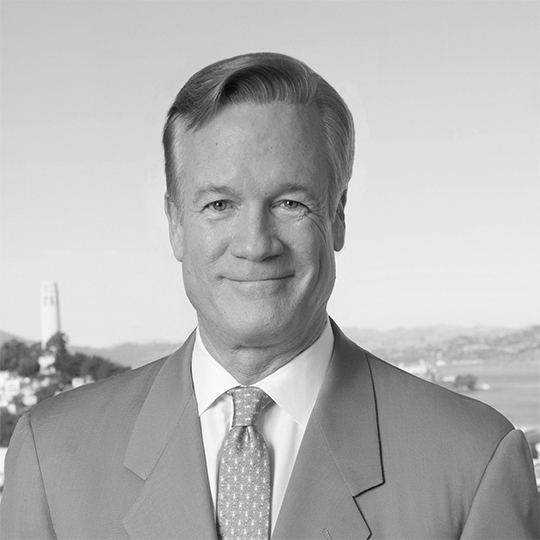 Mr. Whiting resigned his position at TriNet in 1998 to pursue his private real estate investment activities through the formation of Bay Bridge Realty Partners and Drawbridge Partners. Mr. Whiting serves as a board member of Capstead Mortgage Corporation (NYSE: CMO) and The Marcus & Millichap Companies. Mr. Whiting holds a Bachelor of Arts degree from Stanford University and an MBA from the Stanford University Graduate School of Business. He also recently served as a member of the Stanford University Athletic Board and as a member of the Board of Trustees of the Cate School. © 2019 Drawbridge Realty Management, LLC. All rights reserved.